MY NEW FAVORITE JUNK SHOP FIND IS THIS DEAD STOCK ZIPPO LIGHTER. I DIG THIS HUNTER MOTIF AND THE SMELL OF THE FLUID IGNITING AS YOU FLIP AND STRIKE THE WHEEL. 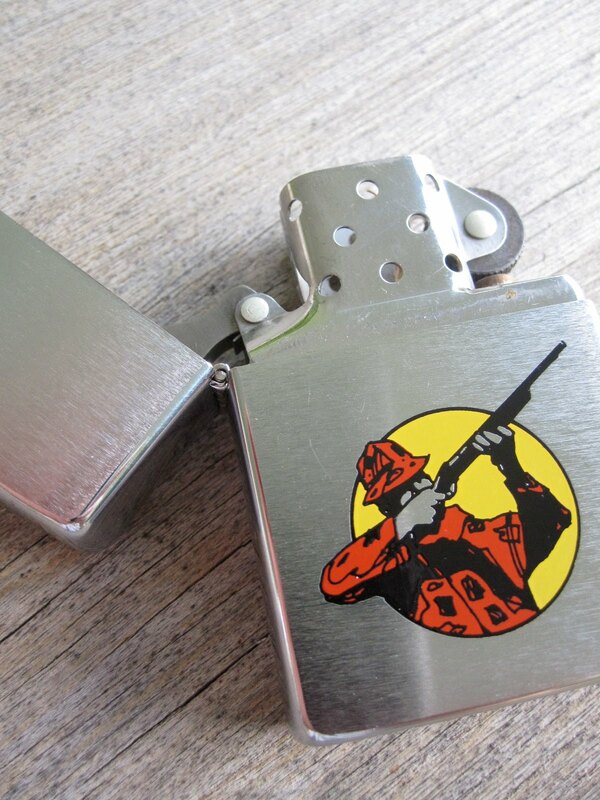 IT TOTALLY REMINDS ME OF MY FATHER AND HIS BUDDIES LIGHTING COLEMAN'S OR SMOKES AT CAMP OR IN THE DUCK BLIND.